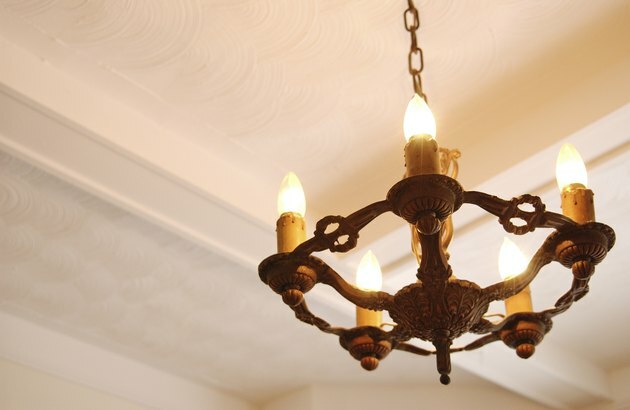 Many chandeliers have chains that either hold them in place or are part of the main fixture body. 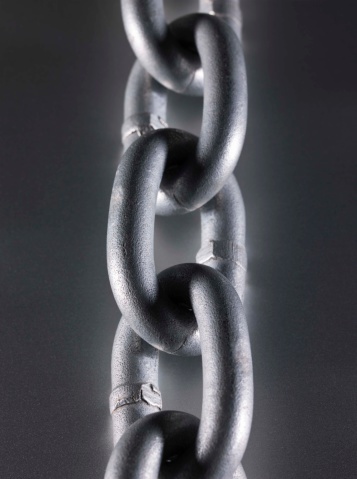 The chains consist of links that can be threaded closed or have their ends bent together. 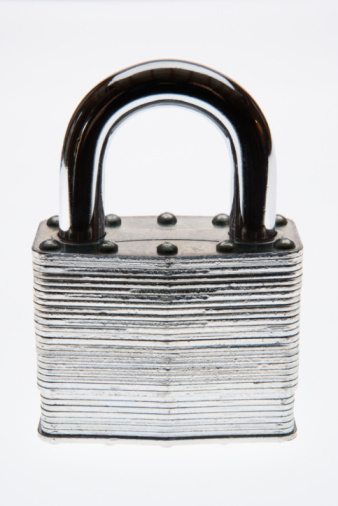 Some chain links are a solid piece or welded together. There may be many reasons that would necessitate you opening and closing the links on a chandelier's chain. Some chandeliers consist of a chain with links. Inspect the chain link to determine if it has a fastener that threads the two ends of the link together. If there is one, hold the link tightly with a pair of pliers and use another pair of pliers to turn the fastener counterclockwise to loosen it. Once the fastener is loose enough, completely unscrew it by hand. To close the link again, tighten the fastener to bring the two ends together. Locate where the two ends of the link connect if it doesn't have a fastener and is not a solid piece. Use two pairs of pliers to hold the link on either side of the split, and gently pull the link apart. Use a single pair of pliers to squeeze the link together again. Cut the link apart on one of its straight sides using a hacksaw if it is a solid piece. Make the hacksaw cut at a 90-degree angle, and cut completely through the link. Pull the link apart gently using a pair of pliers on each side of the split. Close the link together again using a single pair of pliers to squeeze the two ends together.